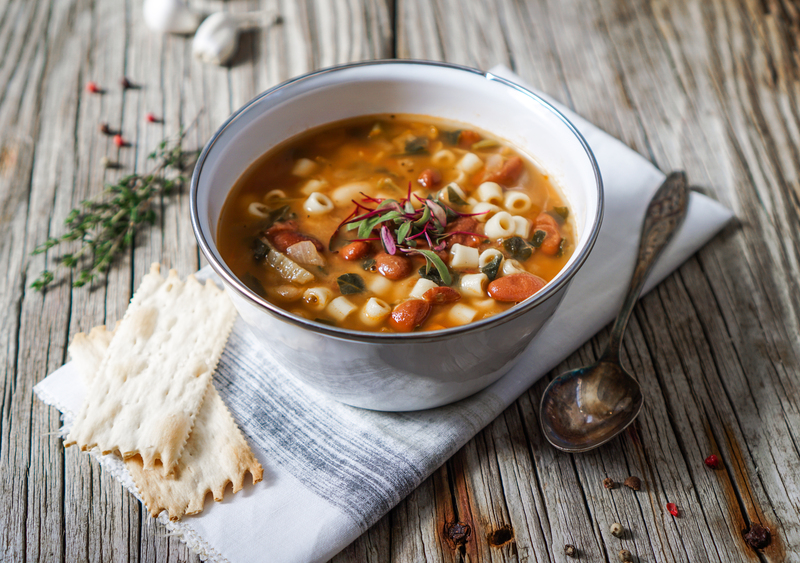 This is a filling and delicious vegetarian Minestrone Soup. Add olive oil to large pot. Add onion, carrots, and broccoli; saute for a few minutes. Add beans, tomatoes, tomato paste, sweet potatoes, broth, garlic, parsley, and salt, and bring to boil. Simmer for 1 hour, Add pasta, and simmer for 30 minutes more, or until cooked. Add salt to taste, and serve hot with cheese on top..